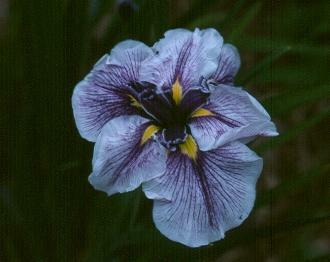 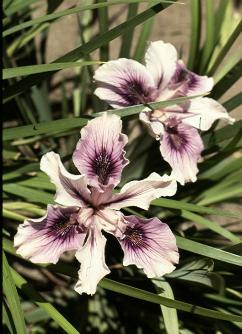 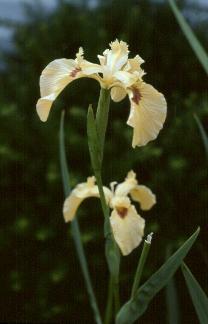 Beardless Irises are mostly native to Asia. 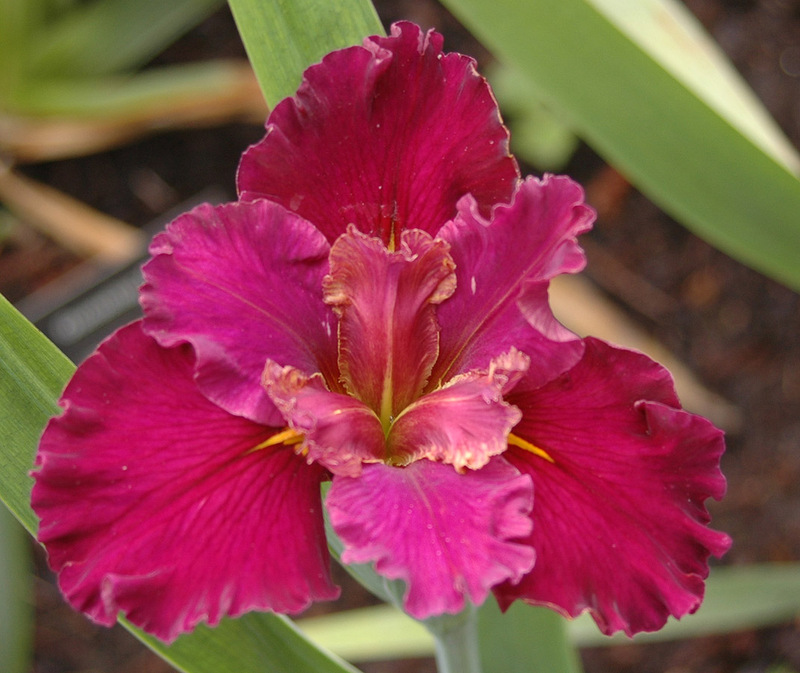 The first four types are commonly grown in gardens, and they all bloom after the TBs, extending the iris season even longer. 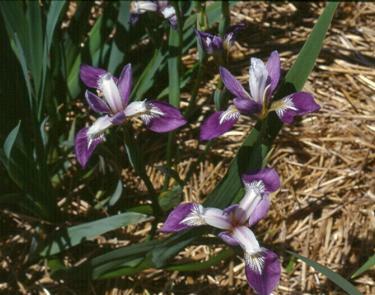 The fifth type, the Pacific Coast Native, blooms before the TBs and is native to the western regions of the United States. 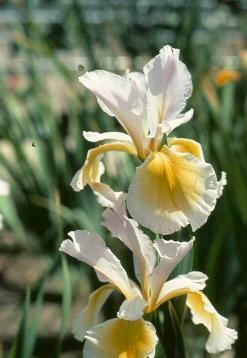 Spurias (SPU) are tall (2 to 5 feet in height) and elegant, and have very attractive foliage. 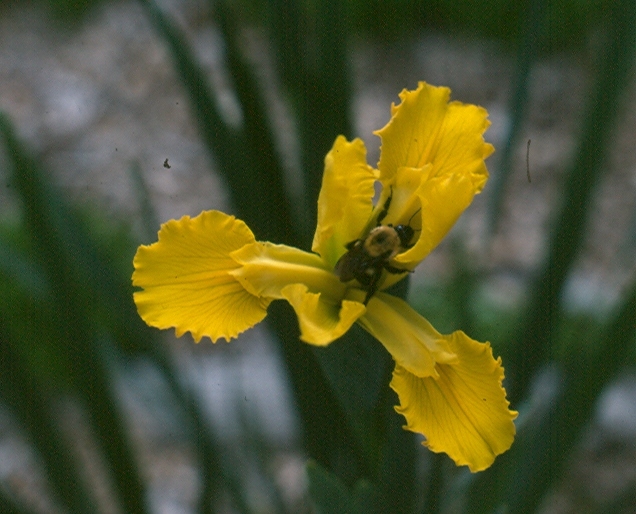 The shape of the bloom often suggests orchids and the colors range from white and yellow through blue, wine and brown, often with bright yellow signals. 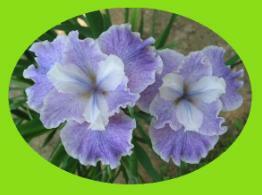 Siberians (SIB) perform best with cooler conditions, regular moisture and a slightly acid soil. 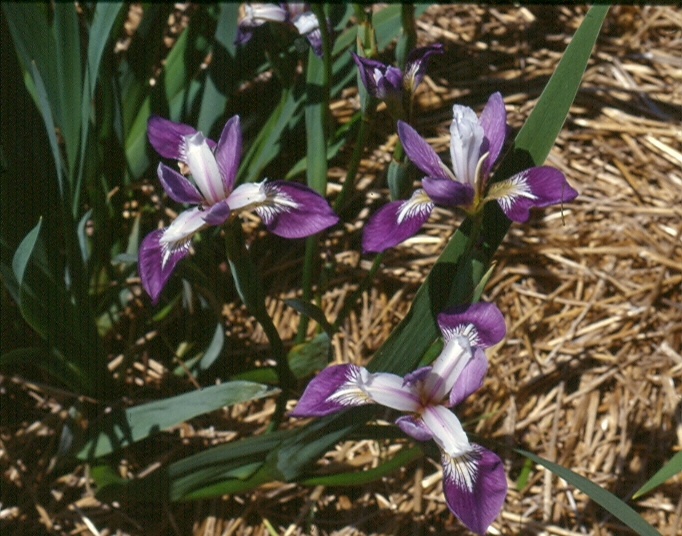 The blooms can be blue, purple, red-violet or yellow with newer cultivars in brown and orange shades, and can have a variety of forms from upright to flat and round. 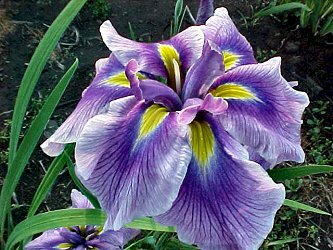 They are most attractive in established clumps that develop a bouquet effect and grow to a height of 2 to 4 feet., although some dwarf varieties are also available. 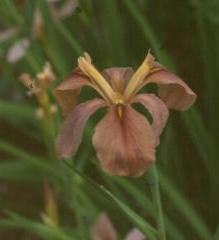 Their grass-like foliage after bloom is one of their attractive garden features. 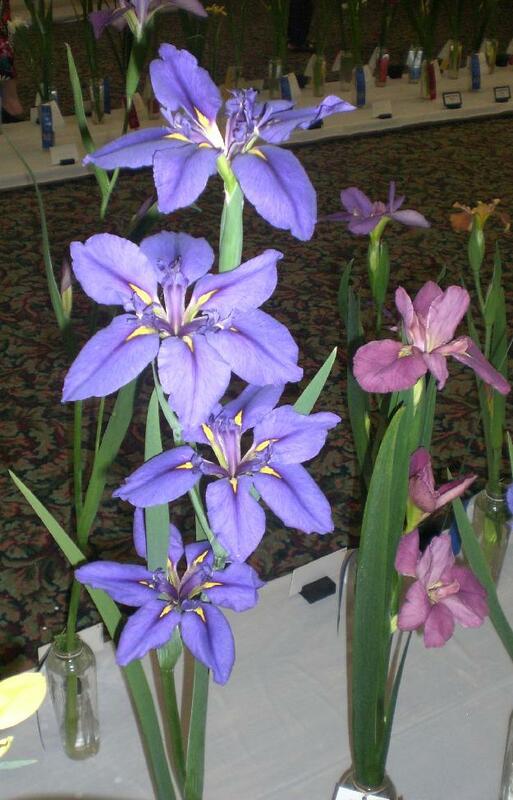 They tend to bloom slightly later than the TBs. 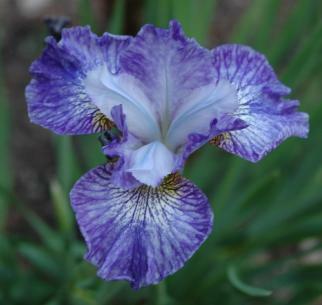 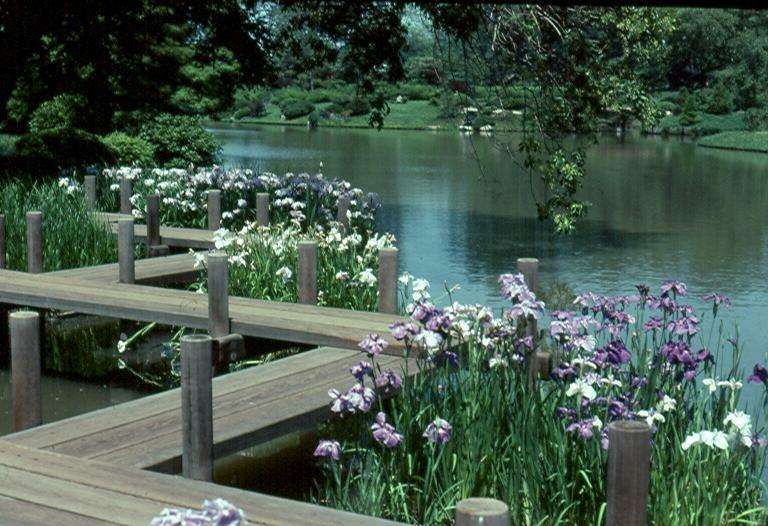 Japanese (JI) require a slightly acid soil and present some of the most spectacular flowers of all the irises. 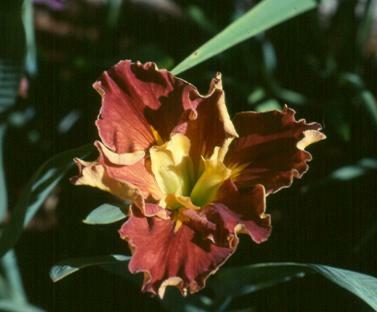 Blooms are usually huge, ruffled and flat in form; some are marbled with gray or white. They bloom about a month after the TBs. Japanese hybridizers have worked with them for over 500 years. 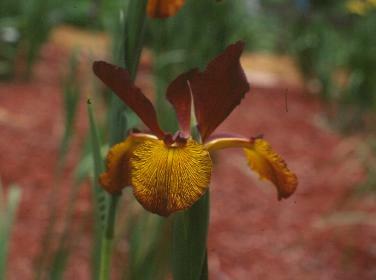 Louisianas (LA) are native to the American Gulf Coast; they require soil that is somewhat acid and wet in the spring. 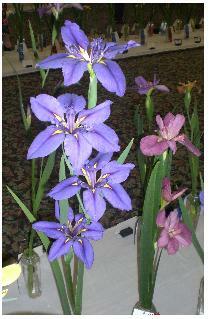 The blooms are usually very wide petaled and open, showing brightly colored style-arms and sharp signal-crests. 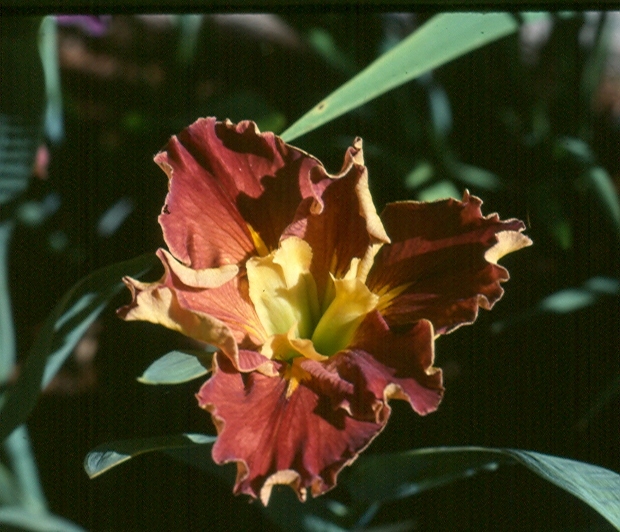 Pacific Coast Natives (PCN), or Californicae (CA) , are not widely grown as they are intolerant of the climatic conditions of all but the far western area of the country. 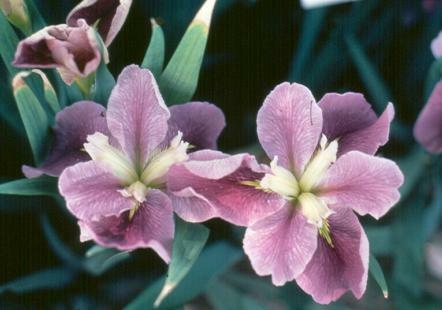 Where they can become established, they grow most attractively with graceful and dainty flowers held one to two feet high, in most colors and patterns. 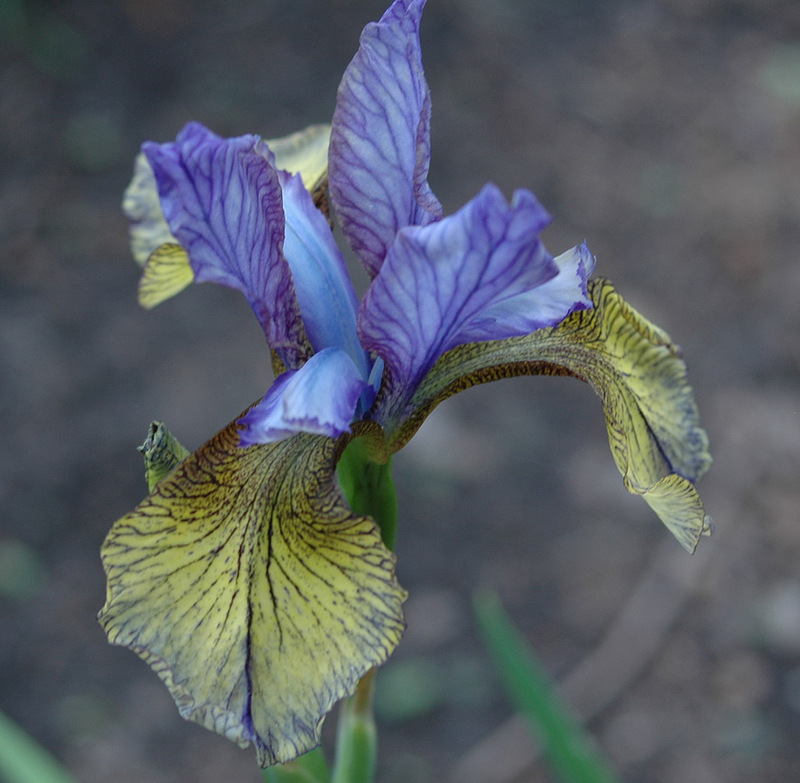 Species irises often enhance gardens with their delicate beauty. I. confusa (Evansia) requires conditions similar to azaleas in a frost free climate. 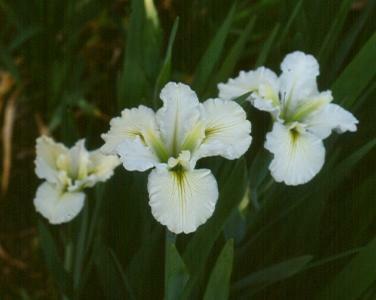 I. missouriensis enjoys wet springs and dry summers. 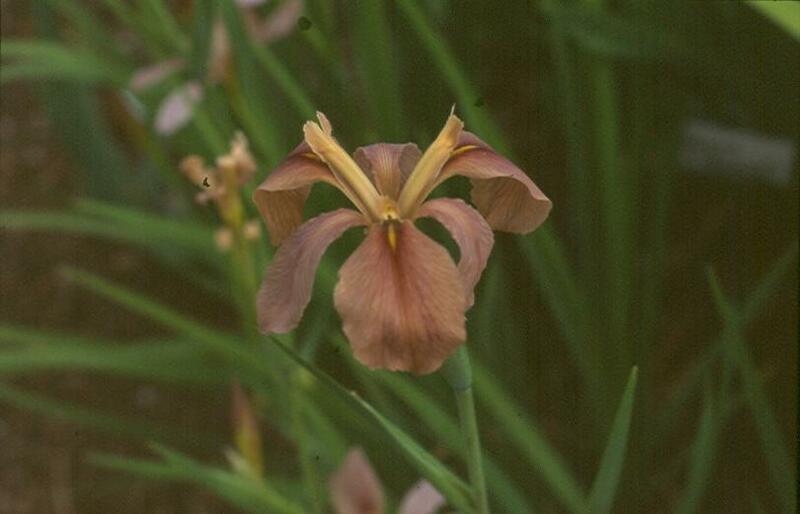 I. tectorum, the "roof iris" from the Far East, are especially attractive and easy to grow almost everywhere in the United States.